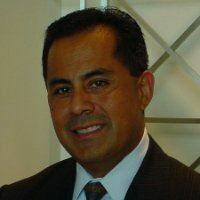 DFWTRN - DFWTRN welcomes Rick Martinez November 1st and presenting on " How Millennials Can Help Your Workforce Succeed”! DFWTRN welcomes Rick Martinez November 1st and presenting on " How Millennials Can Help Your Workforce Succeed”! You’ve hired millennials and now you've probably realized you need a completely different strategy than you've used in the past. In fact, many companies are finding it difficult to grow because they simply can't hire and retain today’s Millennial talent. Sound familiar? Join Rick Martinez, President / CEO of r2 Technologies and let him help you understand how to lead the next generation of your organization. In this presentation you will learn that a company’s culture is an invisible set of attitudes and behaviors that affect everything in the organization. In order to understand your internal culture, you must first understand your people and your business. Rick will be covering how millennials differ from the traditional workforce when it comes to motivation, coaching, compensation, and more, so you can build a successful culture around them. If you want to continue to grow your business to the next level, this is one session that can help! Rick has presented at Dallas Chamber of Commerce and has over twenty years of experience providing technical expertise to Fortune 100 companies in the Dallas-Fort Worth Texas area.